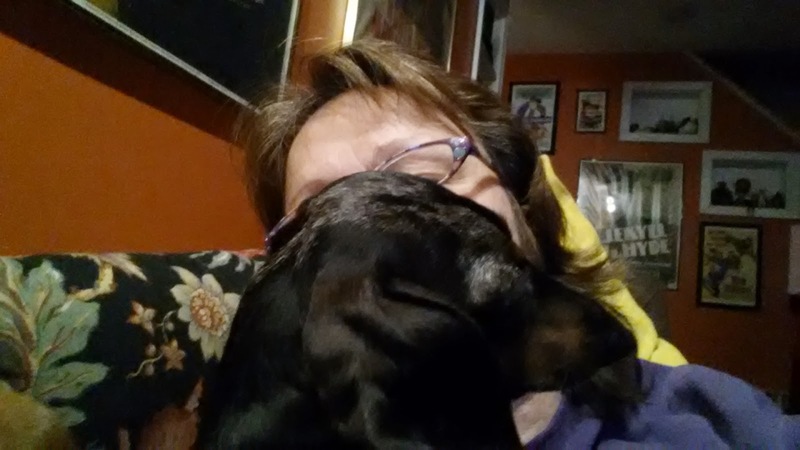 That is "The Dachshund Faceplant". Out of my 4 dogs Spaatz is the only one who does it. Interestingly enough, Spaatz's sister Loreli, who is owned by my daughter does the same thing. 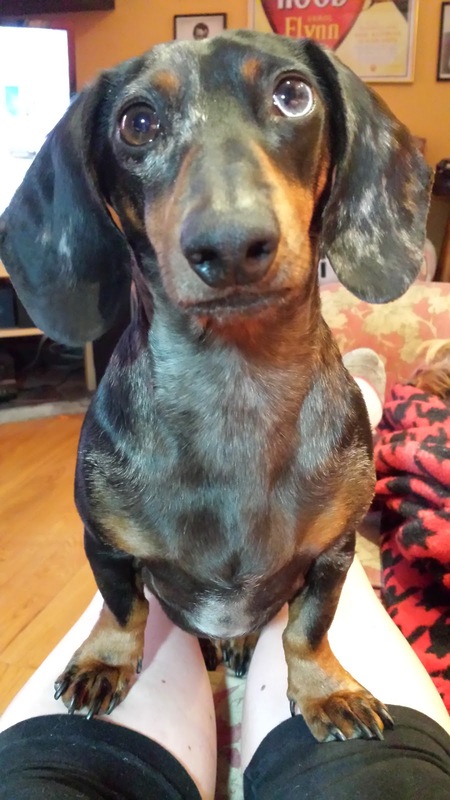 I have also seen pictures of other dachshunds doing it. It kinda feels like they're trying to smother you because they take the side of their face and neck and press it right up against your mouth, sometimes covering your nose as well. With Spaatz it's like he tries to disarm you temporarily, then when you try to catch some air he swoops in to clean your nostrils for you. That's where I draw the line. Snuggle if you want, just no tongue up the nose. One other downside is you can't see the TV either which is usually where I am when he tries this maneuver.